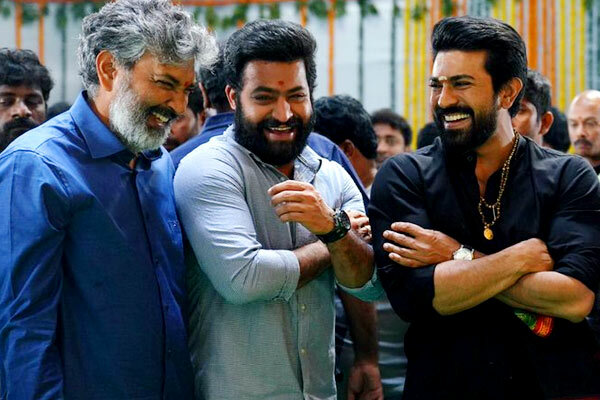 India’s top director Ss Rajamouli after creating a sensation with Baahubali series is making yet another high budget entertainer RRR with two Telugu super stars NTR and Ram Charan in leads. Rajamouli’s films are meant to break previous records and likewise RRR too is likely to break a record in its first business deal. As per reports, Zee TV has offered a staggering price of Rs 150 crores for satellite and music rights of the Telugu, Tamil and Hindi versions. However, producer DVV Danayya is yet to make a decision on this. If the deal closes, it will be the biggest ever satellite deal for a south film. The previous record was on super star Rajinikanth and Shankar’s 2.0 satellite rights of which fetched its makers Rs 108 crores. DVV Danayya is bankrolling RRR with nearly 250 to 300 cr investment and seems like with satellite deal half budget would be recovered. Given the craze around the massive multi starrer, it is expected to make exceptional pre-release business. Rajamouli began to shot second schedule of RRR from yesterday and currently he is filming high voltage action episodes on lead cast. The film is likely to release in the mid of 2020.